This conference has been good so far. Well, good, period, because I'm not going to the final sessions this morning, as I have an 11 am flight home. It's been eye-opening to see how some of the issues we are working on back home are issues that everyone is dealing with, in one way or another. My boss keeps leaning over to whisper things like, "We're already doing that!". I feel invigorated. There are a lot of folks from the Board of Registered Nursing here, and it's good to hear their perspective on things. They are our regulatory agency, and we need their buy-in for some of the things we want to do. They seem to be fully on-board with where the community college nursing programs are going, particularly in partnering with Universities to have a path for our students to graduate with baccalaureate degrees. I have met all sorts of people doing all sorts of interesting things. I met the head of the Board of Nursing and got to talk with him for a bit. He's an interesting guy--has a great sense of humor. 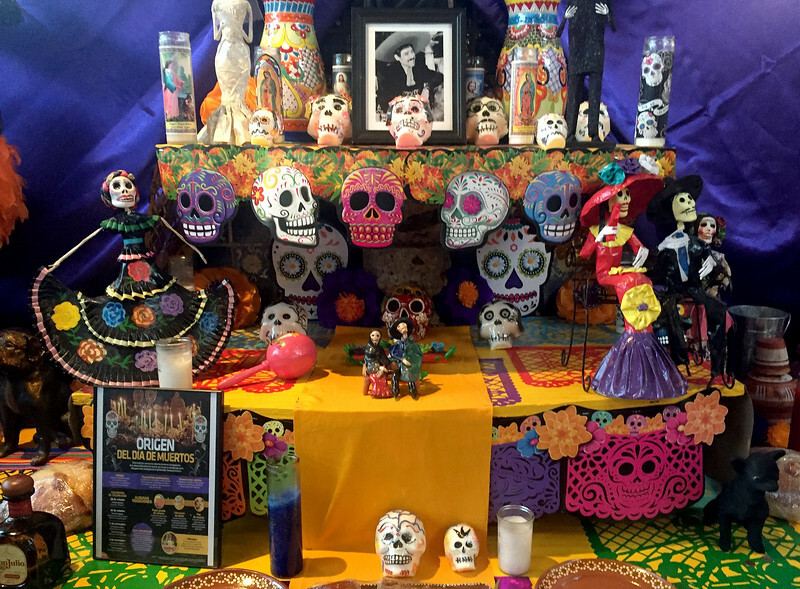 An altar for dia de los muertos at the Mexican restaurant we ate in the other night. The food was excellent. I had some seafood tacos that were loaded with shrimp, scallops and lobster. Last night we ate at an Italian place, which turned out to be the other location of the same Italian place I ate at with my niece the other night. 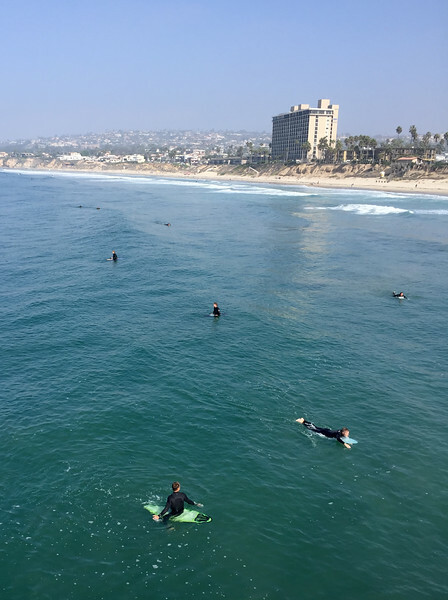 Some surfers out at Pacific Beach. We had breakfast out there the other day and walked along the beach and out to the pier. It was kind of foggy at first, but then the sun broke through and made it a typical pleasant San Diego day. I wish I had had the time to drive down here and take a leisurely drive back home. The weather is so perfect, and I haven't driven up the coast in at least a few years. On the upside, I'll likely get more airline pretzels and ginger ale.